King Mohammed VI, Chairman of Al Quds Committee of the Organization of Islamic Cooperation, has renewed his firm commitment to continue defending Al Quds and the Palestinian cause until the Palestinian people obtain their independence and “set up their independent state along the lines of 4 June 1967, with East Jerusalem as its capital”. In a message to Chairman of the Committee on the Exercise of the Inalienable Rights of the Palestinian People, on the occasion of the International Day of Solidarity with the Palestinian People, the Moroccan Monarch said the greatest challenge facing the international community is the implementation of the resolutions supporting the Palestinian cause, which are adopted by the highest international authority entrusted with ensuring the maintenance of international peace and security. He warned against the impact of the continuing blockade of the West Bank and the Gaza Strip and the worsening socioeconomic indicators, saying this situation may lead to further violence and strife, dash hopes for peace and wipe out prospects for the establishment of an independent, fully sovereign Palestinian State. “In the face of challenges and obstacles impeding the achievement of the just and legitimate rights of the Palestinian people, the international community must keep hope alive and continue to work tirelessly until the Palestinian people (…) are able to exercise their right to return to their homes, in accordance with UN Resolution 194 and the Arab Peace Initiative,” the Sovereign underlined. 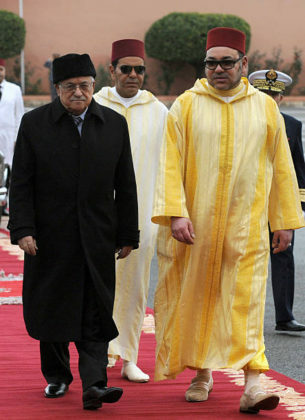 Morocco, he said, attaches special importance to the unity of Palestinian ranks, and has stressed, on many occasions, the need to end this state of division and to engage resolutely and in good faith in forming a national unity government that would have to shoulder its responsibilities towards the Palestinian people and serve as the sole interlocutor, enjoying high credibility with the international community. “Aware of the difficult circumstances Palestinians are facing in Gaza, Morocco has spared no effort to assist them. This is fully in line with my country’s commitment to solidarity, which is a longstanding feature of our foreign policy. I therefore ordered the airlift of medical and food aid on two occasions, in 2009 and 2014,” underlined the King. He recalled in this regard the setting up by the Moroccan Royal Armed Forces of a field hospital in the Gaza Strip, offering a range of medical specialties, such as pediatrics, orthopedics, gastroenterology, ophthalmology and otorhinolaryngology. “These initiatives for the benefit of our Palestinian brothers and sisters complement my action as Chairman of the Organization of Islamic Cooperation’s Al Quds Committee. This action builds on political and diplomatic endeavors at the bilateral level, in international forums and through field work carried out by Bayt Mal Al-Quds al-Sharif Agency”, added the Sovereign. This operational mechanism affiliated with the Al-Quds Committee acts “under my personal supervision and carries out concrete projects and plans in the areas of housing, healthcare, education and social services for the benefit of the inhabitants of Al-Quds,” said the Monarch. He affirmed that the question of Al-Quds and that of Palestine have always been a major concern because it is a question of commitment and responsibility towards a just and legitimate cause. The case of Palestine is a central issue in the Middle East and is at the heart of the conflict in the region. Achieving a just, comprehensive and lasting peace on the basis of the two-state solution and in accordance with Security Council resolutions and the Arab Peace Initiative is a strategic choice, King Mohammed VI said.